The rising urbanization and fast population increase conducted to massive pressure on energy and natural resources overall the world pushing towards other source of energy such as the renewable energy. Renewable energy is generated from natural and available public sources such as wind, solar, geothermal power etc. Utilization of renewable energy sources increase daily need in more sustainable and clean energy, decreased energy costs by the reduction of dependency on oil and electricity, and lower green house gases. Vtormat Engineering as high experienced participant in renewable energy perform studies and projects implementation for its clients and offer a large spectrum services related to renewable energy. The solar-photovoltaic systems that are also called “PV”, transform the solar energy into an electric power to be used in your project. The PV systems commonly can be considerable investment. Vtormat Engineering engineers guide you for attentive planning to assist you in taking the right decisions in accordance with your demands. Solar-thermal systems grab the heat from solar energy and use it for water heating. A properly working system depends on the best selection of the available systems, which can adequately meet your demands with a competitive cost and fast return on investment. By studying your project requirements, our engineers assist you to choose and implement the best existing solar thermal heating system to make better use of this system and to obtain the highest efficiency results for the selected systems. 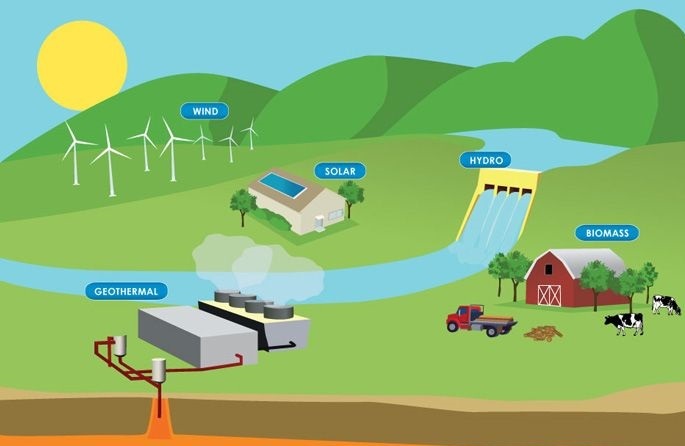 A wind energy system converts the wind kinetic energy into mechanical or electrical power that can be used for practical applications, mechanical energy can be used for pumping water in rural or remote areas while electrical energy could be used for buildings, organizations or for selling to the utility. Vtormat Engineering offers a technical and financial wind energy studies to show the applicability and feasibility of the installing wind energy systems for your project.